The Toshiba Carrier Group's environmental activities are founded on the Environmental Grand Design formulated by Toshiba Corporation. The Environmental Grand Design consists of six performance areas that should be achieved by FY2016 and four environmental strategies: expansion of ECPs, high-efficiency manufacturing, compliance and management, and communication. Combined, they aim to unite corporate management and environmental management. Furthermore, Toshiba Carrier Group follows a new Environmental Management Concept called "T-COMPASS", which takes the first letter of the four directions North, South, East and West as symbols for E: Energy, W: Water, S: Substance and N: Natural resource. TCC Group aims to provide environmentally conscious products into the worldwide society and contribute to the society through business operation considering the reduction environmental burden, as a corporate to develop the system, manufacture, sell and provide services on Air-conditioning systems, and for train sets, hot-water-supply systems, ventilation systems, refrigerators, and compressors. Based on the recognition that it is our responsibility to maintain the health of the global environment as an irreplaceable asset for future generations, TCC Group’s contributes to the development of a sustainable society by promoting environmental activities designed to realize a world that is de-carbonized, recycling based and environmentally harmonious. TCC Group considers environmental stewardship to be one of management's primary responsibilities and promotes environmental activities in harmony with economic activities. TCC Group assesses the impacts of its business activities, products and services on the environment, including with regard to biodiversity, and specifies objectives with respect to the reduction of environmental impacts and prevention of pollution. TCC Group strives to continuously improve environmental management through internal audits and reviews of activities. TCC Group complies with all laws and regulations, industry guidelines it has endorsed, and its own standards concerning the environment. TCC Group strives to enhance the awareness of all its employees with respect to the environment and requires that they make a practical contribution to the environment through their work. 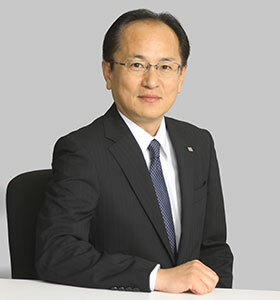 TCC Group operates globally, and accordingly, promotes environmental activities throughout Toshiba Group. TCC Group recognizes that natural resources are finite and implements vigorous environmental measures to promote their effective and practical use in terms of both products and business processes. CC Group develops and provides environmentally conscious products and services which contribute to the reduction of environmental impacts throughout their life cycles. TCC Group strives to reduce the environmental impacts of all business processes, encompassing design, procurement, manufacturing, logistics, sale, and disposal, with a particular focus on the prevention of global warming, efficient utilization of resources and control of chemical substances. TCC Group considers what value and meaning it can provide to society, and strives to develop environmental technologies for the future to help realize a sustainable society. TCC Group contributes to society through its environmental activities, which include the development and provision of excellent, environmentally conscious technologies and products and cooperation with society at large and with local communities. TCC Group is committed to maximizing disclosure and transparency in communication with stakeholders and society at large in order to facilitate mutual understanding.